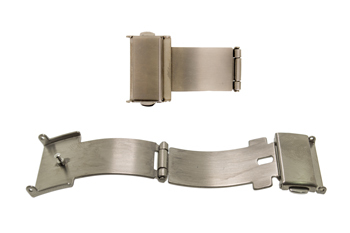 Trifold Titanium secure locking clasps require both sides be pushed to open. Assortment includes one each in seven sizes; 10, 12, 14, 16, 18, 20, and 22mm. 7 total.